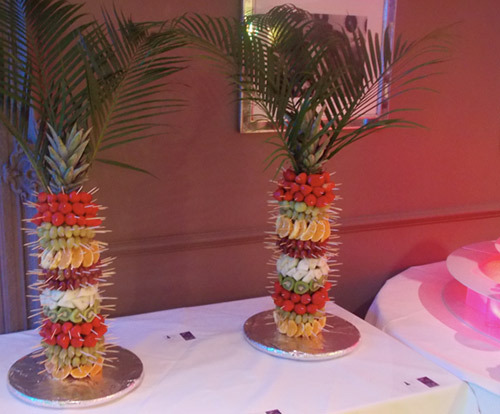 Our Fruit Palm Trees add a colourful, decorative and healthy twist to your wedding reception, party or event. Vibrant and tasty using fresh oranges, pineapple, grapes, strawberries, melon, kiwi and other fruits, your guests will love picking from the fruit palm tree. Each piece of fruit is attached to the tree with a wooden cocktail stick. Only available with our chocolate fountain hire.